Seeing people gracefully dance is a lovely sight which can also be entertaining at the same time. All of us could appreciate good dancers especially those who doesn’t merely go with the beat but also express their emotions through their moves. But dancers can also look great even when you don’t actually see them doing a dance sequence. They look gorgeous in photos because of the moves they make. 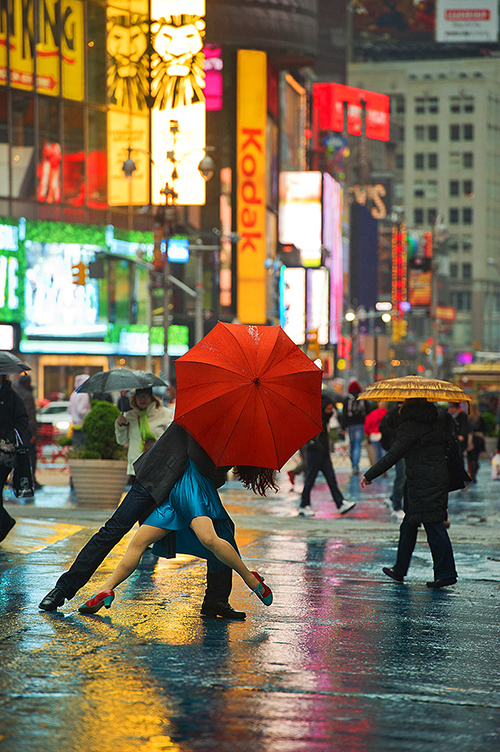 Today, you will be seeing photos of dancers who posed in daily life settings in different places in New York. Jordan Matter turned everyday events into a dynamic moments with dancers swirling, leaping, and spinning in roads, parks, beaches and in any places where most people go. 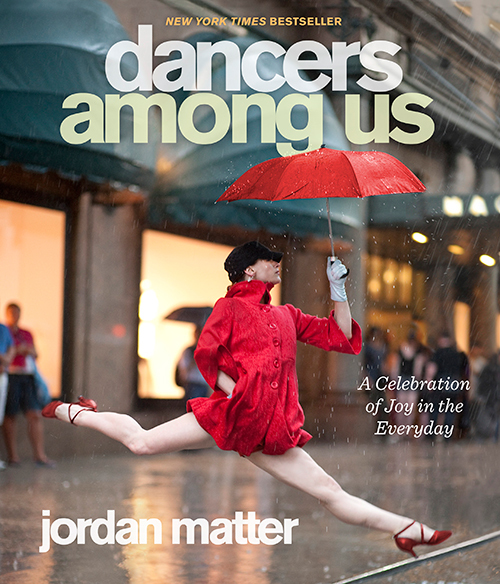 Matter’s project was called Dancers Among Us and the photos were compiled on a book that has reached thousands and impressed millions. 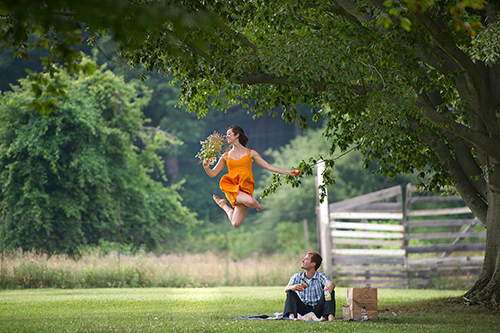 With the combined zeal of Matter and the dancers, amazingly stunning photos came to life! Seeing the photos seems to tell us that the world is a stage and that all of us are actually dancers who can freely move in any way we want. 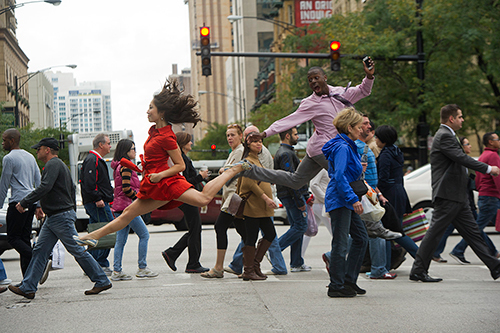 Dancers Among Us goes around the USA in Ninety Seconds from Jordan Matter on Vimeo. Matter got his inspiration for his project from his son, Hudson, who was playing with is toy bus one afternoon. Seeing his son play as if he is in his own world, made Matter think, “What happens to this enthusiasm, this ability to be wholly present in the moment? Why are these pure moments of passion so often replaced with cynicism, boredom, and indifference? As I played with my son, I thought about creating photographs that would show the world as if through his eyes. The people in the images would be alive and in the moment, celebrating all aspects and emotions of everyday life.“ And from that, Dancers Among Us was born. This is a powerful shot that is filled with so much emotions of love in it! How about if you dance your way across the pedestrian lane? A petite dancer trying to eat a monster sandwich! Guess eating it that way would make it taste more delicious! 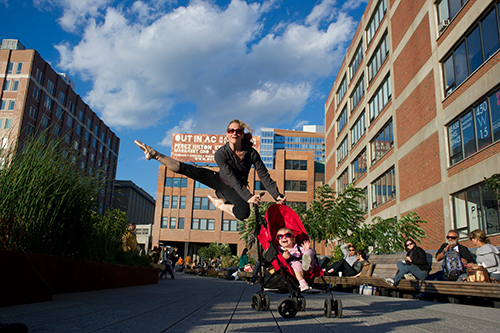 Jolly hot momma takes her little kid in The Highline, NYC while dancing on air! Shopping in Madison Avenue will never be boring once you add a little twist to it. Can you tell us the story of this image? For sure you’ll think a lot of wonderful stories from this shot like a woman wanting to go with the man she loves. Shopping for shoes? Bet she’ll get the best pair while dancing and choosing the perfect shoes for her. Did you see how this image was taken from the video above? It wasn’t that easy but it sure is filled with fun! We love the mysterious appeal this photo gives and yes, they both looked beautiful even when their faces are covered with umbrella. Where’s my date? Dating a dancer can really be both romantic and surprising! But she looks even more stunning as she danced on the air. This is indeed a series that will make us jump for joy! You might even feel like dancing too as you free your imagination in seeing these stunning shots of Jordan Matter. What makes these even more impressive is that these are not digitally altered. Every move captured by the camera was authentic and every emotion is genuine. You can see more photographs on the website of Dancers Among Us or you can also get a copy of their book that features 200 photos of these dancers who treated the world as their very own stage!